الشي يلي فاجأني في عمان هو الحرص على لاحتفال بعيد الميلاد في بلد الاكترية فيها مسلمين. خاصة في المناطق الحديثة تعبي بالمولات والبنية التحتية الحديثة، احتفالات عيد الميلاد هي مبهرة، في نفس المستوي كشو يلي بنتوقعه ببريطانيا. في بلد فيه المسحيين بحسوا انهم مظلومين اجتماعيا، لقيت هاي العادة كان مثير من الاهتمام. أصحابي، مسلمين ومسحيين، بشوفوا انو هاد الاحتفال عشان رغبة الاردنيين في بنسخ الغرب، وعشان هيك هاي الاحتفالات بتصير عصرية ومحبوبة، خاصة في مناطق زي عبدون او العبدالي. وقتي في عمان عم بخلص، وانا كتير زعلان لاني رح اترك الاردن. التقيت بأشخاص رايعين وكسبت أصحاب لبقية العمر وكمان. الأردن كان أروع تجربة في حياتي، ورجعتي عبريطانيا، وبعدين اسافر عإسيرائيل مش متحمس الهم زيما فكرته. بس هيك الدنيا، وانا متأكد أني رح عندي اكتر المغامرات في إسرائيل. في هاي المرحلة انتقالية، انا متامل للمستقبل، حتى لو تركت الأردن، أصحابي والروتين تبعني رح يصعب. Winter in Amman is cold! From my first month wanting to die from the heat, now I’m ready to die from the cold. Houses in Amman aren’t built in the same way as in Britain, and there’s a clear lack of insulation to protect from the cold. The solution in my house is a gas heater, which can’t be left on in a closed room because that would lead to carbon dioxide or worse, carbon monoxide poisoning. This means every morning is extremely cold and rising from bed is a big effort. 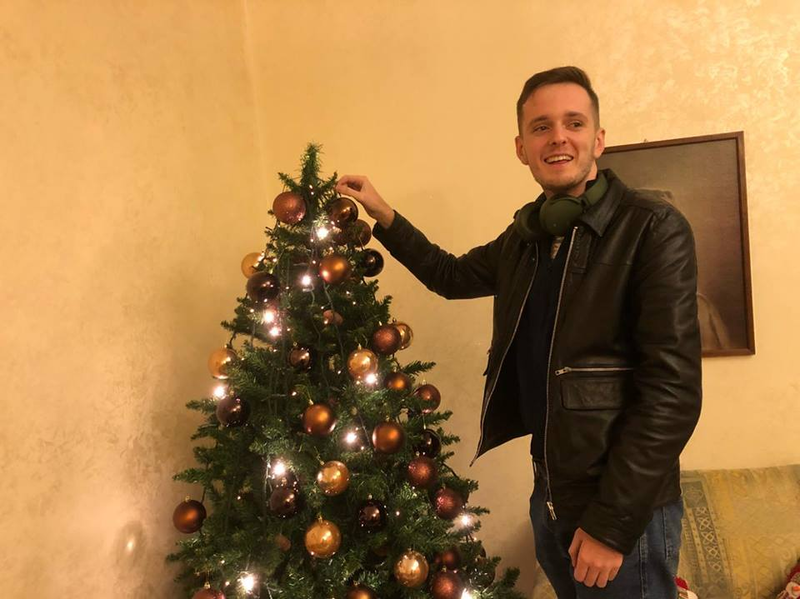 Something which has surprised me in Amman is the eagerness to celebrate Christmas in what is a majority Muslim country. 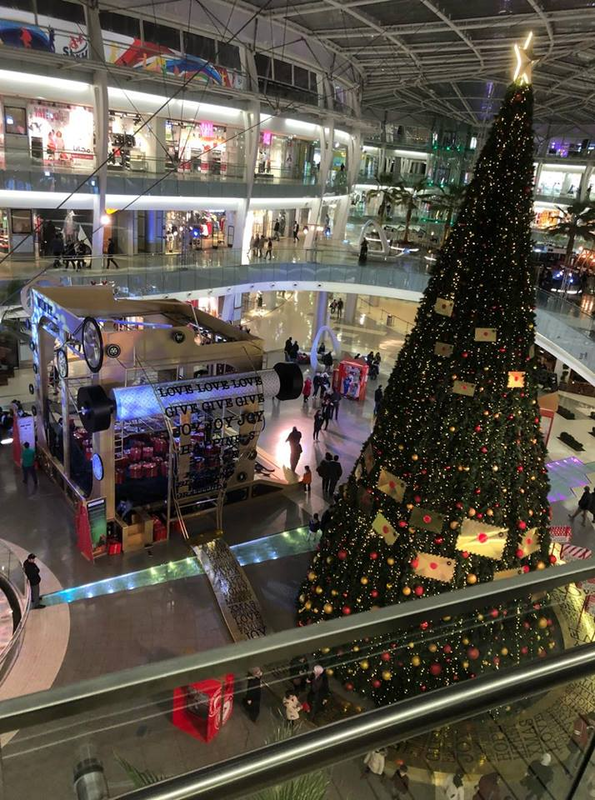 Especially in the modern areas populated with shopping malls and modern infrastructure, Christmas celebrations are extravagant, on the same level as what we would expect in Britain. In a country where Christians feel at times that they are social repressed, this display was very interesting. 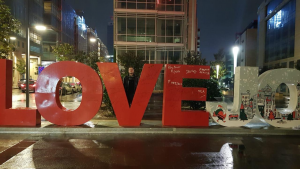 My friends, both Christian and Muslim, believe it is because of a Jordanian desire to emulate the west that these displays have become fashionable and popular, especially in commercial areas like Abdoun and Abdali. My time in Amman is ending, and I’m extremely sad to be leaving Jordan. I have met some amazing people and made friends for life and more. Being in Jordan has been the most amazing experience of my life in fact, and returning to the UK briefly, and then flying to Israel is not filling me with the excitement I thought it would. But this is life, and I’m sure I will have even more adventures in Israel. At this transitional phase I’m looking forward to the future, even though leaving Jordan, my friends and my routine will be hard.